Are you looking for a great Filipino Cupid review? Do you need the review, so that you can decide on whether this is the right online dating site for you? Then you came to the right place. Below is the information that you need to know about Filipino Cupid. One of the largest online dating sites in the Philippines is Filipino Cupid. In fact, it is one of the best websites compared to other Filipino dating websites today. There are thousands of active profiles every single day. These women are all active because all of them are looking for foreigners, with whom they can be with. Due to the reason that many women are always active, Filipino Cupid is considered an excellent online dating website. 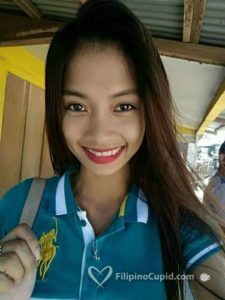 As mentioned above, Filipino Cupid is known as the biggest dating site; you should expect to have more competition on this website. But if you want to be ahead of the game, then it would be best just to get the paid version. This will ensure that you won’t get tons of messages from people you’re not interested with. We can talk more about the paid version later on. 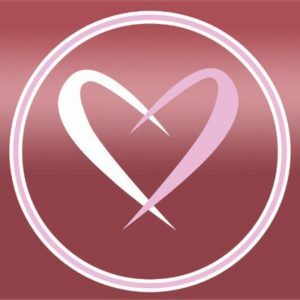 Filipino Cupid is one of the newest sites, wherein it was born almost ten years ago. Most of the members of this online dating website are women who are looking for someone they can be with. This online dating site offers free membership, wherein it gives you the ability to browse through the entire website. You can also send messages that you think you like but the number of messages sends will only be limited. But once you have consumed all the free chats allotted, then you will need to pay for a membership. Browsing through Filipino Cupid is pretty simple. Don’t get annoyed if there are pop up windows. These pop-ups will usually ask about random questions, including if you are smoking or drinking, or whether you are looking for a relationship or not. 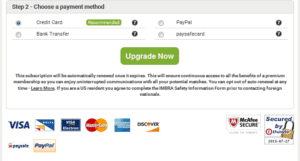 In short, these pop-ups will help you to fill out the profile that you have in full detail. Always remember that having a comprehensive, detailed profile the higher your chances of getting multiple matches. Filipino Cupid has an impressive search feature, so you won’t have a hard time searching for women. All you have to do is to enter all the features in a woman that you are looking. This can include body arts, best features, and as well as body mass index. You also have the option to use tags which will help you find interests that is the same as yours. Once you have entered the tag, you will instantly see all of the women who have the same interest as you. Now, after finding the perfect match, you can either communicate with them via video chat, instant messages, audio messages, and of course emails. When it comes to fake profiles and scammers, there may be a few just like with other online dating websites. In fact, other online dating sites are suffering from major scamming problems. But worry no more because, at Filipino Cupid, there are little to no scams at all. Because there are thousands of members here, it can be challenging to monitor every one of them. But the good thing is, Filipino Cupid is handling this kind of problem well. If a member notices fake accounts, they can call the attention of the people at the resort, and Filipino Cupid’s admin will look into it. Once proven that the profile is a scam, they will immediately remove it. If you hate being scammed, then don’t let this stop you from trying out Filipino Cupid. You’ll never know when you will find your future partner. For you to thoroughly enjoy Filipino Cupid, it would be best to get the paid membership. Put in mind that getting the unpaid version will only limit the number of messages that you can send. Your profile will also be placed lower during the search option, which means that your chances of getting noticed will be low. 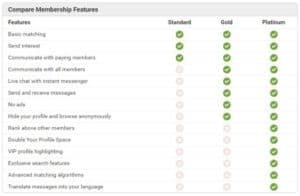 The paid membership has two types, which are the Gold and the Platinum subscription. For the platinum one is their best membership so far because it gives you a lot of options to chat with multiple women all at the same time. Don’t worry because it is much cheaper than going on a blind date, without any assurance of a second date. Its signing up process on Filipino Cupid is somewhat similar to other online dating websites. The initial page will require you to input your name, age, birthday, and as well as your location. Then for the next page, on the other hand, will require you to disclose your occupation, marital status, ethnicity, and if you are willing to move to a different country. There will be an area where you need to write something about yourself and the type of woman that you are looking for. Direct links where members can send real flowers to their match. Few Direct links where members can arrange travel needs. CupidTag is a tagging system, where it can make searching for individual members will similar interests easy. Filipino Cupid always makes sure that all of the information of their members are protected. They are using a fraud protection system that is advanced. The site also do background checks to make sure that every member is safe. These are all of the information that you need to know in this Filipino Cupid review. Whether this is your first time to join an online dating site or not, giving Filipino Cupid a try will surely be worth it.